The ultimate in protective footwear. Read more below…. 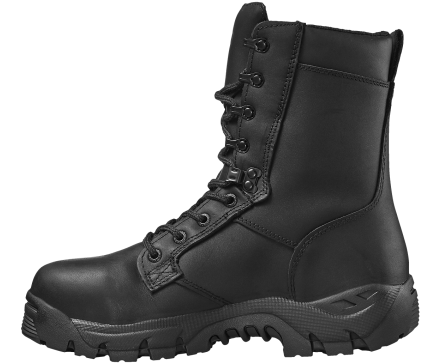 The Shield 8.0 Steel Toe & Plate is a waterproof public order boot for men and women. 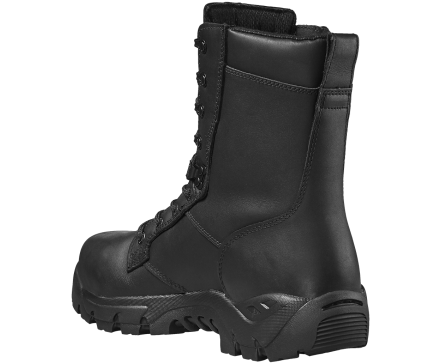 Fully waterproof, fully fire retardant and breathable, this boot has been certified as protective clothing for use in violent situations. 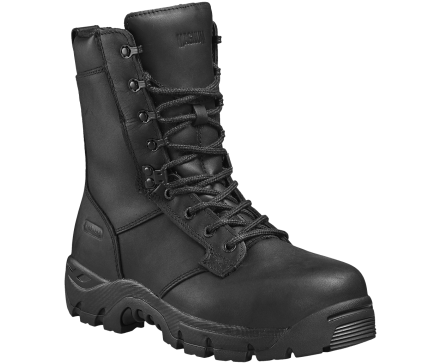 The boots have a durable flame retardant full grain leather upper and flame retardant Nomex laces. Seam sealed for long-lasting waterproof protection, with our exclusive i-shield technology which repels liquids including alcohol, fuel and other flammable substances and is resists stains. A steel toe-cap and anti-penetration plate adds protection from falling objects and underfoot punctures. Maximum comfort and support is provided with the M-P.A.C.T. PLUS memory foam insole and Cambrelle lining for increased moisture management which keeps boots fresher for longer. 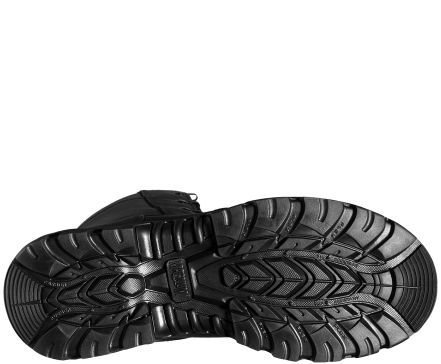 The SRC high traction rubber outsole with ladder grips provides traction and further durability. Tested & certified to European Standard BS 7971 Protective Clothing and Equipment for use in violent situations (class 2, Level 3) & EN ISO 20345:2011 S3 HI CI HRO WR SRC. 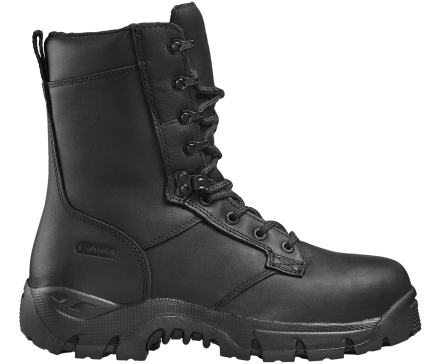 The Shield 8.0 Waterproof Steel Toe boot is a fit-for-purpose public order boot which has been built to withstand the toughest urban environments. 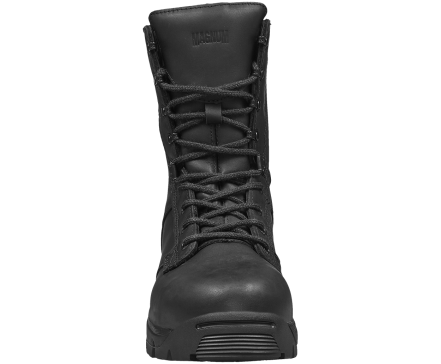 Ideal for public order police force, this 8 inch boot would also be suitable for emergency medical and fire & rescue personnel.